Thank you for visiting the website of Gilroy Plaza Dental; Gilroy's home for family dentistry. Looking for high quality dentist in a happy, healthy, family-oriented environment? If so, Gilroy Plaza Dental is the place for all your and your family's dental needs. Our mission is follow the golden rule: to treat our patients like we want to be treated ourselves. Your comfort, your smile, and your satisfaction is our main priority. Our staff at Gilroy Plaza Dental promises to provide you with highest level of customer service and take care of your dental needs. Our team of highly educated and well trained individuals will welcome you like our family. Dr. Rupinder Purewal and her staff realizes dentistry is not just about providing excellent dental care but creating life-long relationships with their patients. This precisely is what sets her and her team apart from the rest of the dental care providers in the Gilroy and Morgan Hill area. Through her expert advice, you are sure to reach a state of optimal dental health. 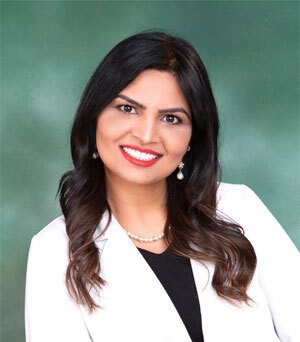 Since starting her practice in 2009, Dr. Purewal and her team believes in providing quality and modern dentistry to her patients in a most comfortable and friendly environment. She is also a proud member of: American Dental Association (ADA), California Dental Association (CDA), Santa Clara Dental Society (SCDS), American Academy of Dental Sleep Medicine (AADSM), and LANAP clinicians. Designated Dentist through the American Academy of Dental Sleep Medicine and has successfully treated a vast number of Sleep Apnea patients. Smile makeovers is one of Dr. Purewal's favorite aspects of dentistry. Her clinic specializes in Invisalign technology and both cosmetic and restorative dentistry. Dr. Purewal is an expert in crowns, bridges, onlays, and veneers and also specializes in both components of implant dentistry, which includes placing implants and restoring them with crowns. Dr. Purewal has been proud member of Morgan Hill and Gilroy community from last 12 years. Other than dentistry, Dr. Purewal loves spending time with her son, Yuvraj, and her loving husband, Paul. She enjoys music, dancing, going on little adventures, and leading a healthy and happy life with her family and friends. Come join our family at Gilroy Plaza Dental!